Armenia in the International Transport Forum which is the successor to the European Conference of Transport Ministers members since 24.04.2003. 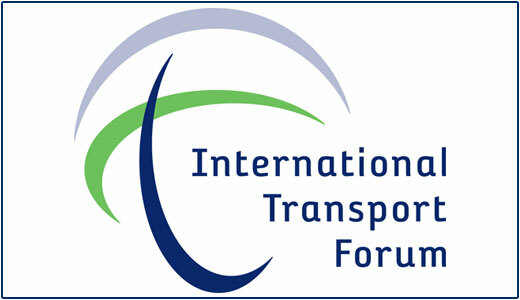 ITF is an intergovernmental organization which aims to coordinate member states in the field of transport policy. ITF's goal is to coordinate issues related to the transport and transport-related energy, environmental and scientific circles activity in Europe and its neighboring countries. ITF's main body is the Council of Transport Ministers, the meeting is held every year. The ITF also involves Deputy Ministers' committee that performs the preparatory work and the documents draft for the signing of the ministers during the meeting. By ITF, from all the member states data are collected for the purpose of statistical analysis, which is based on later adopted decisions and recommendations. Within the ITF, operate a number working groups, which are mainly involved in the road safety improvement, combined transport, the environment, rail transport, fight against terrorism in the transport sector and other issues.